At first glance, health care management and healthcare administration seem identical. Not synonymous in the least, managerial and administrative roles are inherently different. According to Mosby’s Dictionary of Medicine, Nursing, and Health Professions, “management is the act, art, or manner of handling, controlling, directing over primary health care services in a medical group service,” while, “administration is the act of directing, administering following policies and principles in one executive activity,” that typically concern coverage policy, payment and the activities of government contractors. However, the main commonalities of these two roles are the comprehension of ethical and legal responsibilities in the medical field, medical terminology and HIPAA regulations. Due to their fundamental differences, each facet of these roles requires the knowledge of certain sub-disciplines. Where health care management is concerned with controlling the direction of a healthcare facility or network, people in this role must possess the following skill set: effective communication skills, knowledge of computers and their systems. Knowledge of electronic medical records, medical storage information, scheduling appointments, patient reception, processing, office environment and daily operations is also essential. Utilizing such a skill set is driven by the need to understand policy, accounting and facilities management. For this reason, many health care managers specialize in accounting in order to grasp and address the concerns associated with this position. Conversely, a health care administrator’s main focus is the health care facility’s interaction with patients and its staff, largely depending on what the facility specializes in. To be effective, health care administrators must have a thorough understanding of the methods associated with a specific facet of medical research or treatment in order to best utilize the skill sets of his or her staff. The sub-disciplines that are required of a healthcare administrator are the knowledge of current policies of health care, billing, reimbursement, coding practice, banking, financial practice and human resources. Although the minimum requirement for both positions is a bachelor’s degree, master’s degrees in health services, long-term care administration, public health, public administration or business administration are becoming increasingly common. However, health care organizations typically require health care managers to have an educational background that specifically adheres to the makeup of health care management. 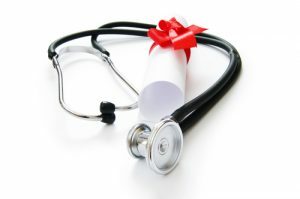 In turn, health care administrators have more flexibility in their educational pursuits, where most have either an MHA or an MBA with a concentration in healthcare. Considering both positions are mostly found at the executive level, health care managers and administrators need to have leadership skills and understand good management practices. Since an administrator’s role is more concerned with utilizing the talents of his or her staff, he or she would do best by implementing staff management procedures, while a health care manager needs to possess adequate leadership skills to influence the direction of a facility’s or network’s policies and procedures. Undoubtedly, working in the health care sector requires a commitment to full time employment. For this reason, health care managers and administrators must be prepared to work on a whim as they are sometimes needed for emergencies or must work during the evening, weekends, or overnight. Generally, both health care managers and administrators are employed by hospitals at the local, state and private level, ambulatory health care services, nursing and residential health care facilities, and for the government. In sum, both professionals are not different in the sense that they have to be integrated with the medical team. Furthermore, they are part of any medical team and that is why they both need to understand the medical language, the medical work, and the different psychological environment of patients and health care workers. Dr. Carlos Cuervo is the Department Head of the Allied Health Division at FNU and a Voluntary Pediatric Faculty at the University of Miami. Dr. Cuervo completed his medical degree at the Federal University of Alagoas and the Central University of Venezuela. His residency in Pediatrics and Pediatric Nephrology was completed at the Hospital de Ninos in Caracus, Venezuela. He completed his fellowship in Pediatric Hemodialysis and Clinical Renal Transplantation at the Variety Club Children Hospital of Minneapolis, University of Minnesota in Minneapolis, Minnesota. His previous positions include being a Pediatric Nephrologist Staff at the Hospital de Ninos and the Centro de Medico de Caracas in Caracas, Venezuela. He has also completed an Observership program in the Pediatric Nephrology Department at Jackson Memorial Hospital, University of Miami in Miami, Florida. Lastly, Dr. Cuervo has completed the USMLE Medical Boards.